As an inexhaustible supply of energy, the sun emits billions of solar rays into the black expanse of space every day. Since the sun is round, not all the power thrown off by the sun’s massive blooms reaches this planet. Experts suggest only a small fraction ever reaches Earth’s surface. However, if humans collected that tiny amount of energy, it could be enough to heat and power all the homes and businesses on earth every day. Since the sun has been around for millions of years, it is most certainly possible that the energy blooms can continue to provide residential solar power for thousands of years in the future. What Is a Photovoltaic Cell? Often referred to as photovoltaic cells, the solar panels are filled with tiny solar units. Photovoltaic comes from Latin because ‘photo’ denotes light and ‘voltaic’ indicates electricity. Once the tiny cells are put into the panel, it can be placed on a roof, into frames in the yard, or on the side of a building to begin collecting energy. However, it takes more than one panel to provide enough electricity to power a home, because the amount of energy created by each panel is very small. How solar panels turn the sun’s rays into electricity can be confusing to most people, but each home solar panel is a simple energy collection unit. As the photon from the sun’s rays hits the surface of each cell, the electrons move to the top of the unit, and as they do a voltage is formed between the top layer and bottom section of each cell. As the electricity is formed in the panel, the current flows and is then collected and stored in a battery for later use. 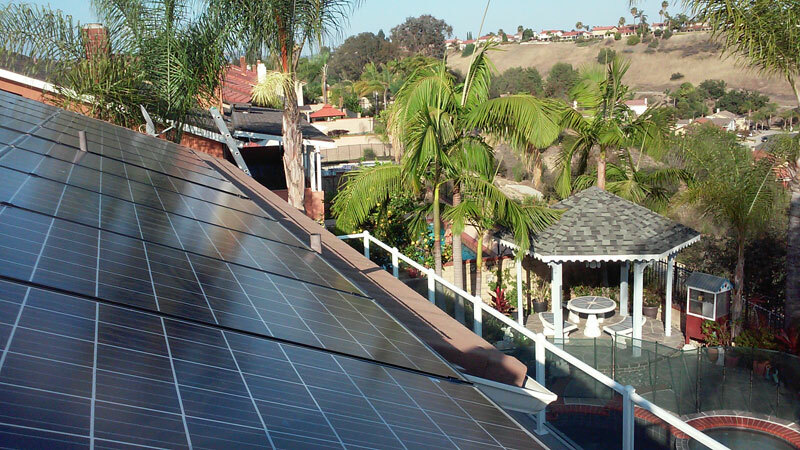 What Can Solar Power Do for You? The sun is a clean energy source that can provide enough residential solar power to keep the lights on in homes around the world indefinitely. All you have to do is install the panels and begin using the power the cells create to heat your home or power your electronics. What could be easier?